If you accidentally collide with another vehicle because you ran through a stop sign or made an illegal turn, you will probably be held liable for the other driver’s injuries. But did you know you can also be held liable in car accidents where you aren’t even the one driving? Who does your car insurance cover? Most car insurance policies will cover anyone who permanently lives in your home and who has been identified to the insurer as a potential driver of the car. This means if you allow your spouse or child over the age of 16 to drive your vehicle, he or she will probably be covered by your insurance in the event of a car accident. What is a “Family Purpose” vehicle? Under the “Family Purpose Doctrine”, you may be personally liable for the negligent driving of immediate members of your household (spouse, children, and even otherwise unrelated adults) if you provided the vehicle they were driving for their “pleasure, comfort or convenience”, and they were using the car for a “family purpose” when they caused an accident. This can be an important consideration in a personal injury case. For instance, in a situation where a minor driving a “family purpose car” has caused an accident, and the available insurance is insufficient to cover all the damages, an injured party is not limited to pursuing the minor (who will likely have few assets). The injured party can also sue the parent who provided the car to minor; and that parent is far more likely to have significant assets. What is the “Permissive User” rule? If you choose to allow your close friends or family members who don’t live in your house to borrow your car on occasion, these individuals may also be covered if your insurance policy has a “permissive use” clause. This provision states that the policy will apply to any person who drives the vehicle with the permission of the owner. In some cases, this may mean that two different insurance policies may both apply: the one on the car, and also any separate policy which the permissive driver may have obtained . This is called “stacking.” Sometimes the insurers may not agree on which policy is primarily responsible, and which one is secondary. In such a situation, the injured person needs an experienced attorney to be sure that ALL the insurers are identified, and that they all pay their fair share. When may you be held liable? Sometimes, policyholders choose to purposely exclude certain members of the family from their insurance coverage. This is usually done when one person has a bad driving record that will increase the policyholder’s insurance rates. These individuals are known as excluded drivers, and they should NOT be driving your vehicle. If you knowingly allow an excluded driver to operate your vehicle, you may be held liable if they cause an accident. If your vehicle was taken without your permission, you shouldn’t be held liable if the driver gets into an accident. However it can be very difficult to prove that you never gave the driver permission to use your vehicle. This often becomes a case of “he said, she said” where it is your word against the driver’s. Car owners may be held liable even when they are adamant they never gave the driver permission to use the vehicle. Individuals can also be held liable when they allow someone to operate their vehicle who is intoxicated, or under the legal driving age, or whom they otherwise know to be incompetent to drive. To protect yourself, it’s best to limit the number of people who have access to your car. Even if you believe you can fully trust someone, you never know when their poor judgment will cost you. 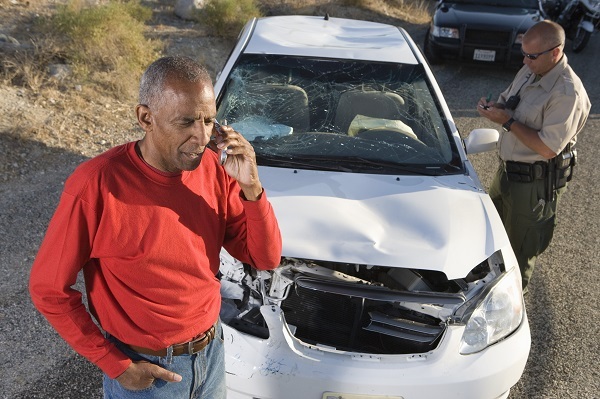 If you have been injured in a car accident by a negligent driver, contact Frank Harris. Mr. Harris and his team can review the details of your case, help you determine who is liable, and then begin negotiations with the insurance company. Contact Frank Harris today by email at info@FrankHarrisLaw.com or by calling 678-483-8655. You can also submit your information using the online form on his website, www.FrankHarrisLaw.com.